Adam Kahane has worked on some of the toughest problems in the world—in organizations and in societies—from South Africa during its transition away from apartheid, to Colombia during the civil war, Argentina during the collapse, Guatemala after the genocide, Israel-Palestine, Northern Ireland, Cyprus, and the Basque Country. Through these experiences, he has learned how to create environments that enable creative new ideas and solutions to emerge and be implemented even in the most challenging contexts. 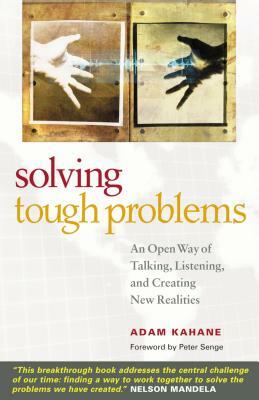 Here Kahane tells his stories and distills from them an approach that all of us can use to solve our own toughest problems. Adam Kahane is a leading designer and facilitator of processes through which business, government, and civil society leaders can together solve their toughest problems. He has worked in more than fifty countries, in every part of the world. He is a founding partner of Reos Partners and of Generon Consulting.